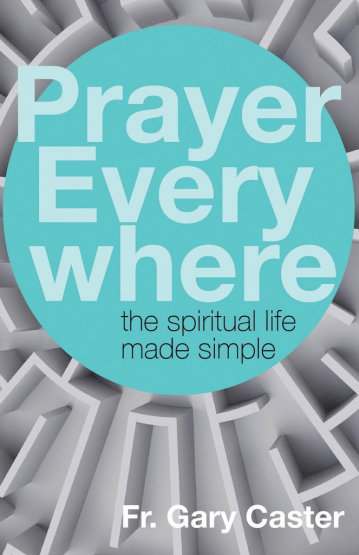 In Prayer Everywhere:The Spiritual Life Made Simple, Father Gary Caster strips Catholicism down to Jesus’s core command:that we let Him love us. Regardless of his own fragility, weakness and sin, Father Gary expects to enter the gates of heaven with a band playing, “When the Saints Go Marching In.” Why? Because he relies on and accept God’s promises, His mercy, and love. He wants for himself what God wants for him; in fact, he wills what God has promised him. This lies at the heart of how he lives his life with Christ and serves Him as a priest. He hopes that at the end of this book it will lie at the heart of your relationship with Christ, too — and that for the rest of your life, you will just let Him love you.